Tusshar Sasi	 August 1, 2018	 Leave a Comment on “Koode”… A fantasy tale that subtly addresses the need for closures and company! Koode. A film that welcomes back one of the most cerebral Indian filmmakers of our times – Anjali Menon – from a brief hiatus. Cerebral in her approach as a director rather than her thought process as a writer, Anjali’s stories are simple, sensitive and filled with tender moments. What sets her apart as a maker, however, is that innate ability to hit the brakes, at the right time. She is one director who does not let her suicidal leading lady embrace her man the moment he averts her from taking a drastic step. Neither does she allow a remorseful lover burst into copious tears as he reveals what he believes was a mistake. This mellowness in processing what they famously call melodrama is what Anjali Menon’s cinema keeps you glued, despite an absence of a good dose of populist ingredients. Adapted from a story by Sachin Kundalkar, Anjali’s Koode is a film that chronicles the need for closures – individual, familial and societal. It also talks about the sentiment called longing, the desire for company and uncultivated relationships. Joshua is 15-years old when he packs his bags to the Middle East. The purpose of this movie is to serve his family and, more so, to bring up his ailing new-born younger sister, Jenny. The scene where the naïve and hesitant Joshua bids goodbye to his unassuming parents is heartbreaking for more than one reason. Trust Anjali in not milking overt sentimentality out of this prospect. All we get to see is how Joshua’s mind being gradually designed or skewed with respect to certain individual experiences he might have endured. As the film kick-starts, we observe Joshua as a factory labourer, sweeping away dirt with the nonchalance of a child playing in the mud. He is used to this extraneous dirt covering his body. We also see him cleanse himself under the shower. The impassive expression that he perennially carries is probably an implication that a lot must have happened to him, crippling his days of teenage and youth. As a matter of fact, Anjali gives us only those accounts of Joshua’s life that he himself is fond of or rather wants to breed within. His last fond memory is about playing football with Sophie (Parvathy, displaying yet another remarkable facet of hers) under the tutelage of coach Anwar (Atul Kulkarni). The football chapter might seem trivial if we look at Koode from a distance. Then again, that is one of the many areas where Joshua desires a closure. An incomplete dream, a compassionate teacher and possibly an unfinished love story – all of which get nipped off the bud by the ways of fate. 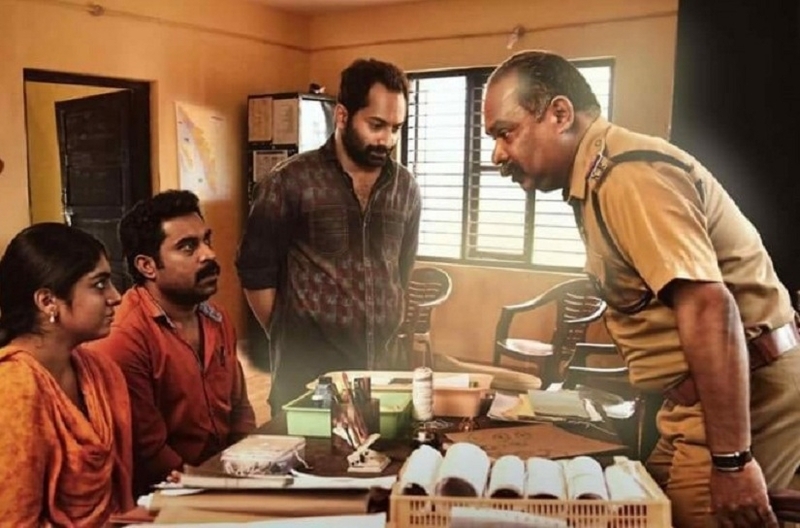 At one point in the film, Joshua’s sister Jenny (Nazriya Nazim Fahadh) states how the things that we do can easily have a two-way bifurcation – we do them either as a duty or for pure love. Were Joshua’s actions purely out of love? This is one question that leaves us perplexed. Quite early in the film, Koode establishes how Joshua shared a deep, intrinsic connection with Jenny. When the news of her illness breaks out, Joshua is, perhaps, more affected than his parents. Still, did he stand a chance to refuse the opportunity to go abroad for the family’s stability? No, I believe. To answer Jenny’s question, even though Joshua stays put to his job and rarely came home for vacations, his deep love for Jenny remains intact. He holds resentment towards his parents (Ranjith and Mala Parvathi) for certain possible unpleasant turns that made way to his numb, indifferent self – which again is a chapter that severely calls for a closure. We also witness the helplessness of Sophie’s father (Devan) who quietly hands her a book, easily hinting his state of mind. And Jenny? She is equally besotted by her invisible brother who toils hard only so that she and her family could be in comfort. It is a fine blend of child-like curiosity, certain levels of gratitude and unconditional love that makes her the way she is. Jenny doesn’t have memories of Joshua. This doesn’t prevent her from posing in every family photograph of theirs with a framed picture of her brother. For once, the photograph bit seems a little un-Anjali, if I can put it that way. Even in the manner Jenny’s curiosity for Joshua is designed belongs more in the Lamhe zone, platonically. Anyhow, this is where the film’s perfect casting come into play. 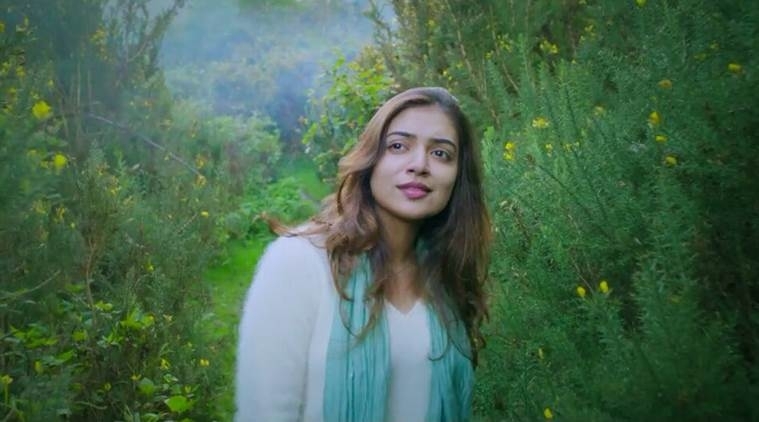 Nazriya is a complete scene-stealer in a part that fits her like a glove. Her Jenny is real, empathetic and everything that an average viewer would root for. Also from a writing point of view, Jenny is a vocal, clear person as opposed to the brooding and disaffected Joshua. When the former wants to bring some sunshine into his life, Anjali’s screenplay, literally and figuratively, allows him to do so. Ah, don’t we simply love underdog victory and saviour tales? Let that be for another day! Stunningly photographed by Littil Swayamp, Koode is filled with fine imagery and subtle metaphors making it nearly unsuitable for passive viewers. Be it with the hillside backdrop, the blue van, the affectionate pet Labrador, the still lake, the characters’ professions, the mysterious ways of the grandmother, Jenny’s poetry or her attempts to stay in sync with her peers – all of it cumulate to make what Koode becomes eventually. There were times when I wondered what the film could have been sans the atmosphere, the woollen clothes, the white flowers and intermittent appearance of rain or even droplets by the window panes. How different would it have been if Anjali were to avoid Sophia’s bizarrely violent family who seems to have landed up at a different set altogether? What more could have been said about Joshua’s tribulations in coming to terms with himself? As the entire chapter of duty versus love remains partially unrequited, the film gets what its protagonists had been seeking – a closure. The need for it, in fact, brings the siblings close in the unlikeliest of fashion, explaining how we all need someone by our side to share our happiness and sorrow. Koode can easily be alleged to be emotionally manipulative in many ways but, as mentioned earlier, Anjali’s method doesn’t let the sentimentality brim out of its seams. Koode doesn’t let you sit and weep. Instead, it fills you with a quiet sense of contentment and an innate familiarity. It is not a world that we ever witnessed in entirety. Still, somewhere out there, we have all lived tiny little parts as this in our respective stories. Classic Anjali Menon, I say. Previous Post“Dhadak”… All gloss and no beating heart! Next Post“Fanney Khan”… Listless music and sketchy characters mar this well-meaning family fare!